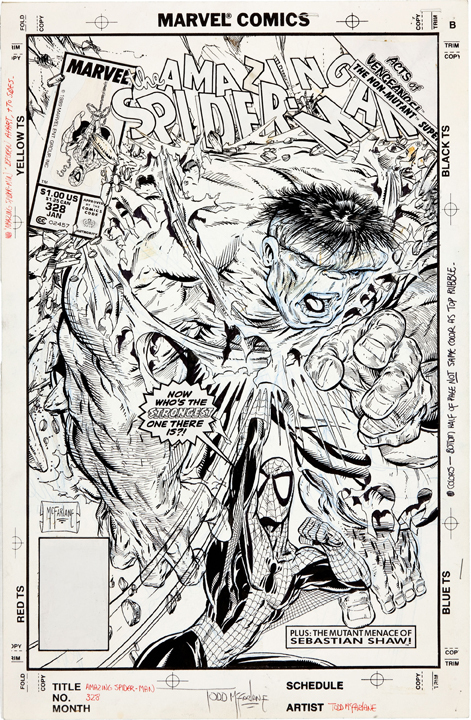 A new record price for an original piece of American comic art was set last week when Todd McFarlane's cover to The Amazing Spider-Man #328 sold at the Heritage auction for $657, 250. Still shy of matching the amount paid last year for a piece of comic art, period (see below), it is nevertheless a staggering sum. 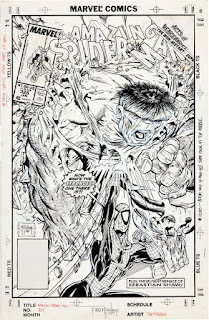 If you've watched pen & ink pages by John Romita, Steve Ditko, Jack Kirby & Co. sell for prices ranging from a few hundred bucks to well north of a Hundred Grand in recent years, you might wonder what the hefty amounts being plunked down for comic book art really means (if anything). Why the huge leap in prices for pop-culture originals? Do the movies have anything to do with it or are wealthy fans simply indulging in nostalgia? Are these legitimate investments that will increase in value or will they turn out to be a future generation's garage sale inventory? And why these particular pieces and not others? I haven't a clue myself. But Heidi MacDonald has an interesting post on the subject at The Beat (read the comments section, too), while Jim Gurney has an equally fascinating post about value and what will (or maybe will not) last in his post "Measures of Greatness." All of these artworks—with the exception of one—were sold by collectors (the artists had parted company the originals years ago for significantly less than these hammer prices). 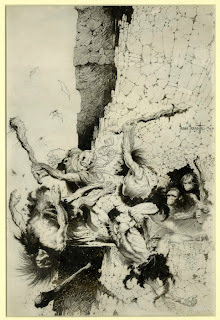 The exception is the Frazetta. Originally intended as a cover for Famous Funnies in 1955, it was rejected by the editors as being too violent; Frank took it to Bill Gaines at EC who gave Frazetta an option of selling the rights and original for $60 or just the rights for $30. Frank took the $30 and kept the art—the only piece of art Gaines said he ever published without owning the original. 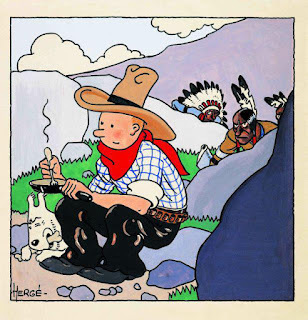 The Frazetta family sold the cover after Frank died in 2010. 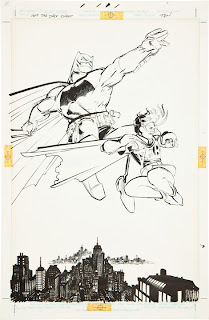 Anyway, below are the 5 most expensive works of comic book original art. As of today. 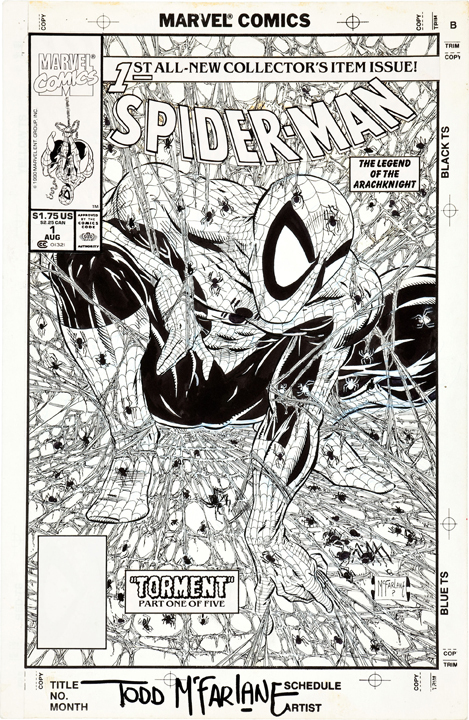 #5 Spider-Man #1 cover by Todd McFarlane: $358,500. #4 Weird Science-Fantasy #29 cover by Frank Frazetta: $380,000. 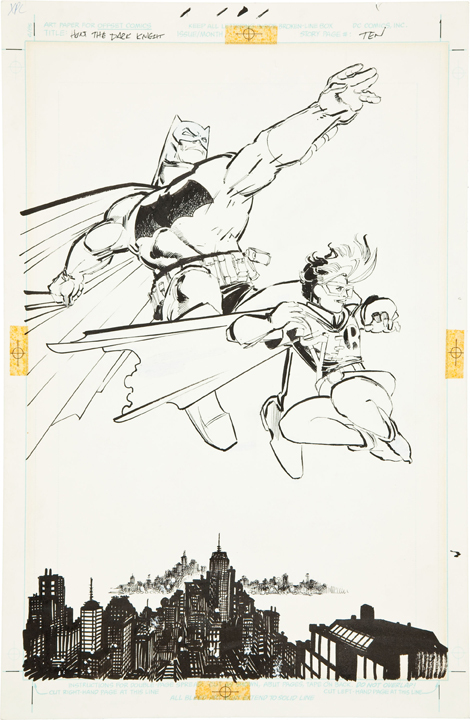 #3 Batman: The Dark Knight #3 splash page by Frank Miller: $448,125. #2 The Amazing Spider-Man #328 cover by Todd McFarlane: $657,250. And #1 Tintin In America cover by Hergé: $1,600,000.